@PPN A local headshop stocked on these sold a few and pulled them off because of the poor feedback. And just for the record the crappy titan I has top rating in that shop .People just feel ripped off for that price to have to taste robotfart and crappy functions. Kind of wonder if there isnt a similar scenario to the Fenix,since is see it sold at highly variable prices. Some people were claiming that HR version was of better quality,justifying the somewhat higher price. CVC4455, Alexis, KeroZen and 2 others like this. mine had a burn off smell too, but now its gone after about 20 sessions. All my previous vapes had the burn off smell when new, so no problem with me as long as it goes away after some use. I can get thick clouds with mine if i pull longer and a bit harder like you would expect from convection. I find starting @ 205C, and finishing @ 221C to work the best for me. The temperature drop happens becose when you are not pulling, the heating element is not switched on as often. When you start pulling, you can see the heating element start to glow red. Try changing the temperature after a few second after a rip and you will see no drop in temp. Leave it without pulling for a few seconds, and the temp will drop (to lower the conduction effect i gues). It can vaporize about 12-14 fully loaded bowls out of a full battery. CVC4455, KeroZen and PPN like this. 20 sessions to get ride of this nasty taste is a bit above of my standards and I don't call myself to be obsessive about that topic (I know some others members are more sensitive...). 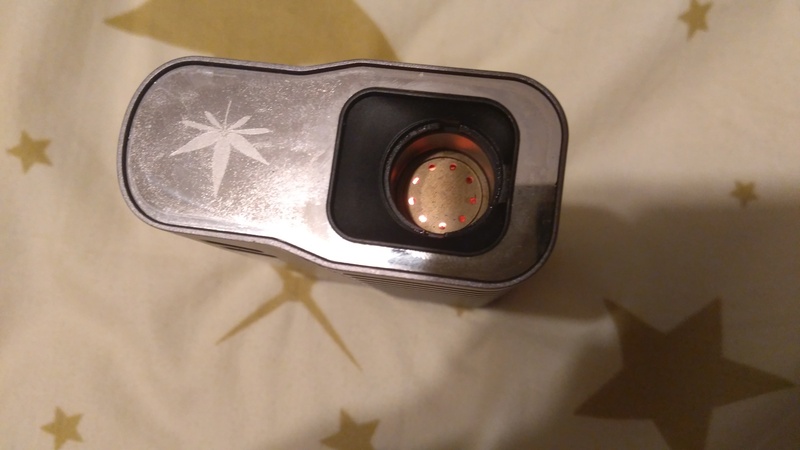 Although that's a good new to know you appreciate it, I will test it more now butI was close to give up since, imho, the robotfart of the Fenix 2.0 is a lot more intense than the average portable vaporizers. the robofart will go away for sure. Also, make sure you place the magnetic top correctly. I dont always fit that notch correctly from the first atempt. And the necessity to clean it after every session is not so bad after all. it never gets clogged, it has no screens, and its always clean. all it needs is a wipe with a dry paper napkin while still hot. Just tried a bowl connected to a bubbler using silicone tubing and I can say I got a better vapor production, taste is slightly better when bowl is fresh but still taste the robot fart at the end of the session. justcametomind and HAL9000 like this. @PPN, sucking robot farts for the team since 2013! I've owned so many vapes with zero smell out of the box now that I don't say it's normal anymore. Not in 2019 ffs! Cl4ud3, CVC4455, looney2nz and 4 others like this. If you found the Avant's taste not tolerable (this is not my case) you will not even take a hit with the Fenix! But the taste is improving with time and I manage to get bigger hits even if I need to set the t° at +410°F to get satisfying visible clouds. Then mp is inspired by the Firefly concept where the vaporpath is a wide stainless steel smooth surface which is maintained in place by magnets. Mp itself is zirconium ceramic. Airflow is medium, not tight at all but not freeflow though. It looks like a very true convection based heating system, more convection than the Fog, similar to the Swift/CFV in term of ration convection/conduction and cause you need long and deep hit to build vapor. But, in another hand the abv comes out darker than usuals true convection devices but I usually have a 4mn cycle at 415 and an half another cycle at 430 (max temp) since I found the vapor density pretty thin at low temp. So, it extracts a full bowl slightly packed in only 4mn (the added 2mn 430°F cycle is not really necessary since it doesn't brings more than 1-3 true hits and taste is already fadded). Design is not my cup of tea but the building quality is good, I have to ask again about which components the plastic parts around the bowl are made of. Cleaning doesn't seems a true pia but, as @HAL9000 mentionned, there is some buildup on the lid and it's better to wipe it directly after a session when still hot. Battery life seems very good, I think I already used it for 9-10 cycles of 4mn and there is 3 bars (on 4) on the battery jauge. Finally there is some potential but this initial (and still too much present now) bad taste is not something acceptable. I can't see where it comes from... there is no visible silicone, only plastic and stainless steel (I want to add the vapor path contains plastic and not only stainless steel). CVC4455, KeroZen and Alexis like this. @PPN Can you see the coils when you remove the herb chamber ? What material are they from ? Glowing doesnt sound good. Kanthal has aluminum,nichrome oxidises easily at high temps,may form chromium oxide.. @KeroZen Is there any metal at all that is safe at glowing temps ? I dont think glowing heating element is a problem. The firefly, the mv1, and perhaps all convection and on demand vapes have a heating element thats heats up to glowing temperatures. The fenix 2 heating element glows red only during the initial heatup and when pulling air trough it. It behaves like a on demand, 100% convection vape. On my unit, robofarts are history and i am verry happy with the cloud production and battery life. If i had to choose again, in this price range, i would go for the fenix 2 whithout hesitation. CVC4455 and justcametomind like this. At this time we have no certitudes, only assumptions. The Titanium case is the most iffy. Alloys with high Nickel content should be watched too. But for the rest, at the probable concentration levels we're exposed to, we have no evidence it's really unhealthy. Not all Chromium oxides are bad, and some daily Chromium intake is expected when you use SS cookware. The only thing we're sure of: thin glowing wires have a short service life compared to beefy non glowing ones. High currents and temperature + oxygen slowly eat the metal away. So it's natural to wonder at some point where does this material go, especially when the answer is possibly our lungs. CVC4455 and Abysmal Vapor like this. I posted this in the picture thread ,but i will do also here to illustrate a hairdryer heater. Nichrom spirals on Mica plates. I doubt many of us hold breath wile using those. 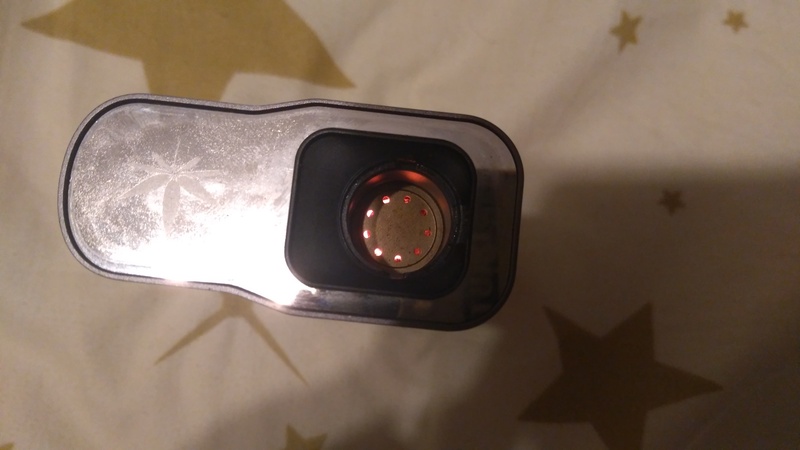 Anyway the problem i see with glowing heating elements other than the nano particles release,its the combustion of the dust from the enviroment that is present in the air comming into the device,+ herb dust and residue that makes its way down there (if it does). 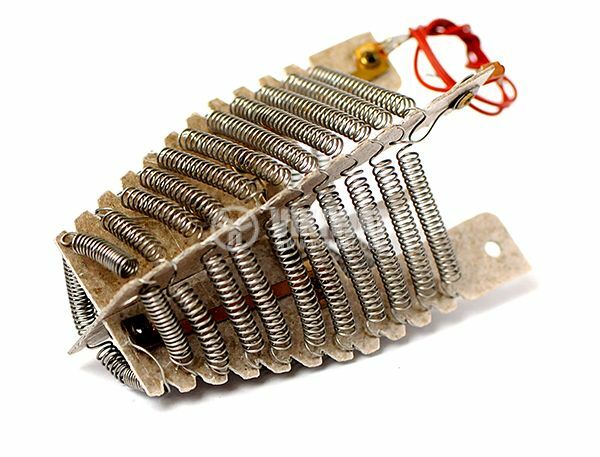 Can someone take a photo of the coils of the unit,i kind of intrested to see what shape/gauge/dimensions it is . CVC4455 and KeroZen like this. it is shaped like a doughnut. compared with the firefly2, it is not bent in a spiral pattern, and about twice as thick. unfortunately i cant upload pictures on FC forums. It only glows during heatup or during draws. LambsBreath and CVC4455 like this. Saw the Seshgear Vega on ebay a few days ago and was curious about it, just learned of the Fenix 2.0 today. I was considering trying a HR Force, then looked at the Fenix, then the Fenix 2.0, which brought me back to looking at the Seshgear. The Seshgear does look only slightly different on the exterior, I'm assuming the internals are identical but who knows? I assume though it's also produced at the Weecke plant. The one thing that got my attention on this over the Fury, Force, Fenix and clones, is the 4400mAh battery capacity. I also like the magnetic top and the glass stems shown in the Fenix2 photos. Fenix mini same as Fury 1? Although I do like the HR Force and Fenix 1, and both had good feedback... for the price I think I'm going to give either this or the Fury 1 (Grindhouse Shift) a try, heck I could get both for $129, the price of a HR force. after about one month of usage, i can say i am very satisfied with this vape. The cloud production is specific to a true convection vape. The longer and harder you draw, the more dense the cloud becomes. Who says that this vape does not produce dense clouds, maybe does not know how to draw from a true convection vape. @195C if you draw hard for ~10 seconds you will get a very dense cloud. i cant imagine who would be able to draw harder without coughing. You could deplete an entire bowl within one long draw if your lungs allow you Also, no mater how long you draw, the vapor is kept cool. The firefly design with cooling metal plates does a very good job. Regarding the robofart, i would advise to ignore this issue since it goes away almost completely after 5 to 10 sessions, and you wont even remember it after ~15 sessions. This is something common with new vapes. Something i also like is that it looks clean like brand new only by wiping it with a dry paper napkin after each session while still warm. It takes 2 hours and 22 minutes to charge it with 15.2Wh of energy. 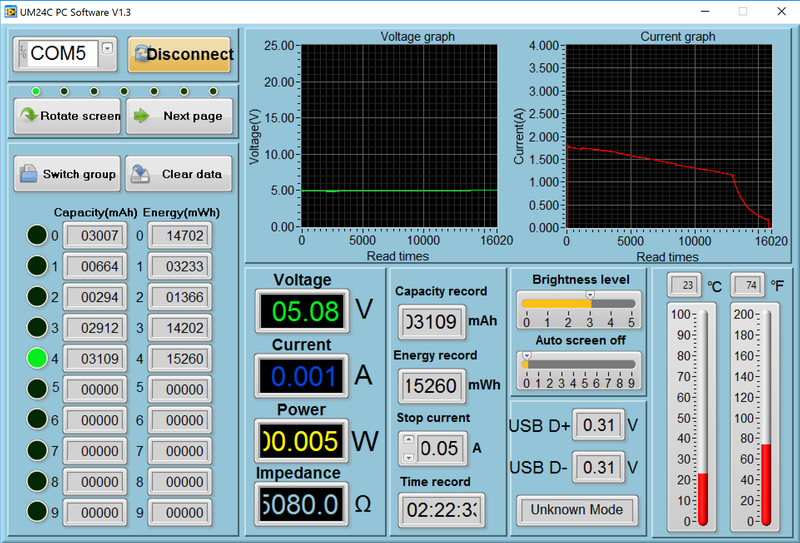 So it really is a 4400mAh battery (4120mAh @ 3.7V effective usable capacity). It can vaporize at least 14 fully loaded bowls with a single charge. So far, i am impressed how accurate the advertised information corresponds with the real product. If i would have to choose again, this would still be my first choice. Zak McKracken, LambsBreath, CVC4455 and 1 other person like this. Thanks for the reply and detailed info! Based partially on this I took a chance and ordered the Seshgear Vega today. I hope it works out better than the robofarting Vivant Alternate I recently bought new, the odor didn't go away after 10 burn-offs and a few bowls, got a warranty replacement and it pretty much has the same odor even after 7 burn-offs. Still hoping I can get it eliminated somehow. Can you let us know what you think after you get use it? I was planning on buying one of these soon and the more reviews the better. Hopefully it's internals are the same as Fenix 2 and it performs as well as HAL9000 reported with his Fenix. The "Tactical Gear" styling is interesting for sure, it doesn't look real comfortable to hold - but I could be wrong. It does appear rugged (for accidental drops) and the style makes it more "incognito"... with the mouthpiece folded in it doesn't look like the usual vape. Normally I'd prefer the smooth metal body design of the Fenix 1, but figured I'd save a few bucks and try the latest version out with newer technology. Anyone know what is the mouthpiece material on Fenix 2.0 or the Vega? I thought I read zirconia somewhere but couldn't find it again, maybe I was confusing it with a different vape. it is made out of a thermoplastic called "PEEK". The same plastic used by S&B for the mighty and crafty mouthpiece and many other brands. But the plastic does not interact with hot air in this vape becose it is well cooled by the metal plates. I'm guessing the difference is seahgear paid Fenix to put their name on it and slightly change the outside. If you contact the weecke company that makes the weecke Fenix(the original Fenix), Fenix mini and Fenix 2.0 they are willing to change the name/colors/case to whatever you want as long as you buy the minimum # of units they say. You'd be very surprised how cheap they are. I forget the prices but I think the Fenix mini was like 32 bucks a unit but it's gotta say a name that's not Fenix on it and you gotta get like 500-1,000 of them. But that's how you could sell the Fenix mini and still offer half price lifetime warranties on them cause if you sold them for like 140 then half price is 70 so you still make a profit even though it's smaller on the half price replacement units. LambsBreath and HAL9000 like this.